Do drop by these buttons below and say hey! It’s been a long time since I’ve got in touch with my mermaid self. I haven’t placed on my mermaid fins for quite some time because it’s been a rollercoaster ride surfing and keeping up with my career as a content creator and innovation bunny. 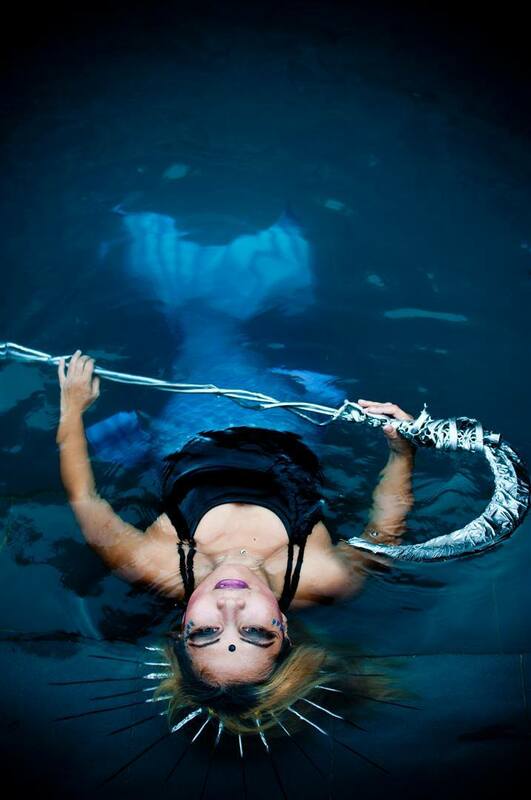 One of the first people I came across in my lonely journey of being the only mermaid I knew in the locality was Amarie. She messaged me through my website contact form looking for tails. I wasn’t selling tails but it interested me that I had a fellow Filipina who was crazy about mermaids too. Here’s our conversation and I hope you enjoy it as much as I did! One of our mermeets from the past year. Amarie channeling her inner mergoddess. 1. Hi, Amarie! I know that we've only met online and I do hope to meet you soon. I've seen that you've been free diving before. Did that start your passion for the ocean? Or was mermaiding always in you even then? It was actually SCUBA diving that opened the door for me to explore the underwater world. I have always been afraid to go out in the open water before, but then diving paved the way for me to discover how wonderful our marine life is. It felt like entering a completely different world and simply addicting. Soon after, I got introduced to freediving. This time I got more intimate with the ocean and learned how to really go out of my comfort zone . I guess all this time I really am a Mermaid just trying to find her way back home to the sea. 2. 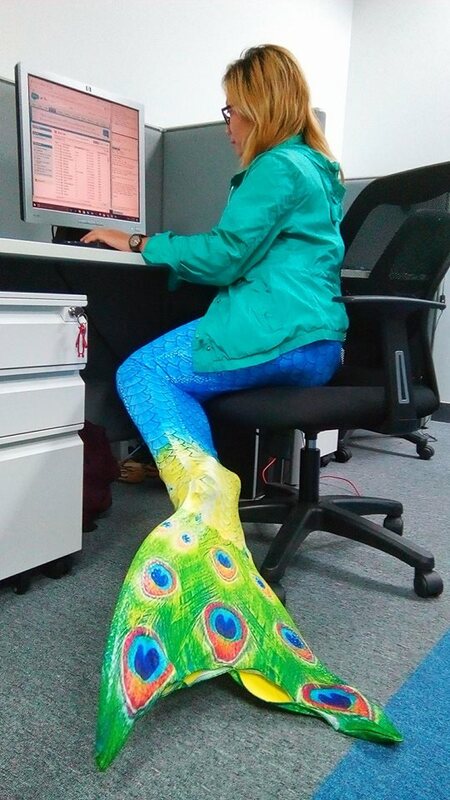 Can you tell me about your journey to become the mermaid you are now? The more that I explore the underwater world, the more I want to come back and stay longer. Being underwater brings me to a higher level of tranquility. I just like gliding, flipping, and staying fabulous underwater so being a mermaid feels like the next most natural thing to do. I started making my own tails, practicing dolphin kicks and flipping. Yet, I know that I am not the only Mermaid in our country, and there are others of my same kind just waiting to be found, so I created the group All About Mermaids. I joined different mermaid groups and kept virtually in touch with fellow Pinoy/Pinay mermaids. Furthermore, I wanted a community for mermaids that would encourage everyone to keep in touch with their inner mermaid spirits. I wanted a group where everyone would feel welcome and there won't be any discrimination, regardless of the type of tails we have or the intensity of our passion. A real life mermaid looking for food in the city. I usually post my mermaid videos to travel groups and YouTube hoping to reach others. I met fellow Merman Joel, who was also on the lookout for fellows Mermaid/Merman, through a travel group and we instantly clicked. Contacted him and others whom I kept in touch with. It felt like finally meeting like-minded people and it felt right. So, Mermaids Ph was born. 3. You make your own tails too, right? Not many people (like me) are gifted with the skills to make one. How was the experience? Actually I didn't know I have the skills too! Until now, I just say my tails are "maitawid" tails. 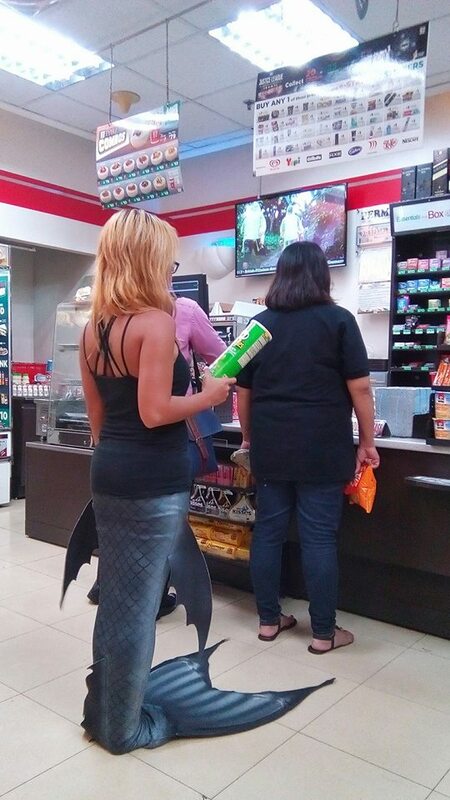 I wanted a Mermaid tail, but couldn't find a local store that sells them and ordering them online were way too expensive. I also met artisan tailmakers and fellow Mermen Yhan and Brixx when I inquired at Mermaid Avenue Ph, in the process of searching for means to earn my own tail. Just a heads up though, tailmaking could also be addicting! I am still sewing a tail and my mind would already be filled with ideas for a new one. Other Mermaids that I know are guilty of the same thing too! 4. You're actually the reason why my mermaid fire is still with me. 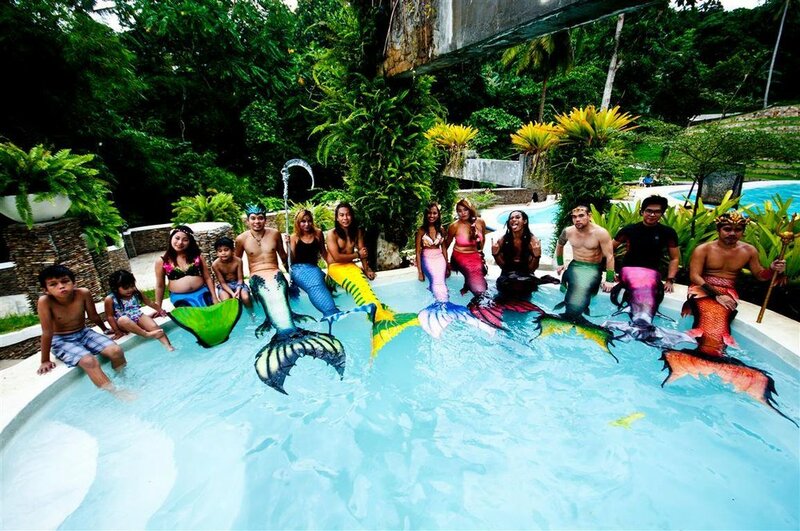 Being one of the mer-founders of the budding mermaid group in the Philippines, how does this change your life? It made my life more fun, fulfilling, colorful and creative! It felt like a dream coming true. My Mermaid dreams unfolding and at the same time being a means for other to fulfill their own dreams. These Mermaids and Mermen are just too awesome to be with! It feels like we've been friends our whole life. A genuine sense of belonging to a Merfamily exactly describes how I feel with the Pod. We chat every day as if we won't run out of things to talk about, we joke with other a lot, and share tons of creative ideas. Everyone is very encouraging and supportive of each other and that's the culture we want to cultivate and nurture within our Merpod. We also support each other's Mermaid goals while trying to improve individually. I couldn't ask for more at this time. 5. Can you share with me what a life in a day or a week in your life is? Aside from spending my weekdays at the office, I also spend it planning mermaid events, welcoming new members of the Pod, exploring options for new tails and simply staying connected with my Merfamily. My weekends are usually spent swimming. Trying to improve dolphin kicks, learning more Mermaid tricks and practicing to be at ease wearing tails. I usually meet other Mermaids during the weekend and we practice together. 6. What are your plans for Mermaids PH? Our vision is to encourage other Filipinos out there to rekindle their inner Mermaid/Merman spirits. We can definitely do this by making the community more visible. There will be more upcoming Mermaid events, photoshoots, dive trips, etc. We also look forward to being involved in outreach drives and marine conservation projects. Our Merpod is growing and we are determined to build a fun, encouraging and compassionate community where everyone with a Mermaid/Merman heart is welcome. 7. Is this open to any mermaid? How can others join? Everyone is definitely welcome! They can just simply join our Facebook group Mermaids Ph and they can join in the discussions, events, swimming sessions, photoshoots and other activities we have. Writer turned surfer & content creator—chasing the sun & sharing stories one wave at a time. Get EXCLUSIVE first access to updates, stories and goodies! Fresh and exclusive updates straight from me to you. Get FIRST access to updates, stories and goodies!